You know you have done the scale tango before. You step towards the scale. Then you step back. You step on it and step off. Then you step on the front of the scale on your tip toes and then on the back with your heels. You’re hoping the scale will say something different each time. You hop on the toilet to lose a few extra ounces then you try the scale again. The scale nags you all day long. You randomly step on it to see if it changes throughout the day. This dance isn’t helping your weight loss. I’m telling you the scale makes you fatter and you need to throw it out for your health’s sake. Scales are for cattle and competitions. You need to weigh the cow before it goes off to slaughter to know how much it’s worth and you need to know your weight class for a competition. That’s all scales are good for. A scale is not going to help you with weight loss. What I have learned from years of working with patients who are working towards better health and weight loss is that the scale is not their friend. It’s not your friend and it’s not anybody’s friend. It’s not even a good friend to that skinny person on Instagram. That scale is making you fatter! Let me explain why. Ways the Scale Makes You Fatter? People tie so much of who they are into what that scale says. They think that number defines them, and it impacts how they feel. You will stress out before you step on the scale about what the weight will be. Then you step on the scale and see what it says. It never says you lost enough, and if it goes up that’s even more stressful. After you get off the scale you are thinking about what that scale says all day. Like that number defines who you are. There is a lot of stress people put on themselves because of it. Stress will jack up cortisol. It will jack up blood sugar. Then it will jack up insulin and then do you know what happens? You store fat. Storing fat is the opposite of what you want to do. Find ways to reduce stress. That stressful scale is making you fatter. Does stress make you reach for a cup of kale or a cupcake? Think of a time where you’re doing great on eating healthy. Making clean choices and seeing results. It starts to plateau after a while and you don’t think you are still getting results. Eventually your resolve breaks down and you have just one cheat meal. You look on the scale the next morning and it hasn’t made a change. Phew, your cheat meal didn’t make the scale go up. Over the next few weeks, your cheat meal becomes a cheat day then a cheat weekend and before you know it, you quit your healthy diet a month ago. What you don’t realize is every choice doesn’t show up on the scale right away and the choices add up over time. Your cheat meal ruined your health plans. The scale only goes up from there. When you see that number go down on the scale you see a reason to celebrate. Now when you celebrate do you go out and get a nice bowl of kale? No! You think you deserve something special. A treat! Kale cupcakes aren’t on the menu. Celebrating throws off your whole healthy living plan. Why? The body doesn’t know moderation. It only knows does this make me sick, or does this make me healthy? You can choose inflammatory, unhealthy foods or healthy that fuels your body. How many of you have quit exercising because you gained weight? Your body might be going through beneficial changes that could lead to a higher number on that scale. It might mean you put on muscle. That’s a good thing! You can work out today, gain muscle, and not lose fat for two months. But while you are building the muscle everything is getting tighter and tighter. You might notice your clothes are getting looser and looser, but the weight can go up. There are other reasons the scale can go up when you are exercising and eating better. It might mean your muscles are inflamed because you were working out. It might also mean your muscles are holding onto water because they didn’t dump it yet. Then you are frustrated because you just sweat a whole bunch and are now wondering why you even bothered exercising. Well you drank a bunch of water and your muscles aren’t letting go of it. It doesn’t mean your exercise isn’t working. It might also mean you are eating healthy, but you are eating your allergies which is leaving you inflamed. It means the scale isn’t showing the results of your hard work yet. People give up the gym and eating healthy just because of the number the scale showed. Does that make sense? Scales lie. The scale doesn’t give you your body composition. It doesn’t tell you how much water you’re holding onto. The scale doesn’t break down fat vs water weight vs muscle mass. The scale reinforces a false reality. It keeps you focusing on what isn’t changing instead of what is changing. That keeps you in a negative mindset. That negative mindset will make you gain weight. When helping patients adopt a healthy lifestyle, I ask them what changes they noticed over the past month. They often notice digestive, nail, and hair improvements. I used to ask them if they noticed weight loss but now, I ask them if their clothes are fitting looser. That will tell you more than anything. How do you feel and how are your clothes fitting? The person exercising or getting healthier is the last to see the change in themselves. Their body is changing incrementally every day and, since they see themselves naked in the mirror every day, they don’t notice those incremental changes. They are improving day-by-day, but they just don’t see it. If they look to a scale to tell them they are succeeding at healthy changes they might miss out on how far they have come. Then they don’t think it is working and they give up. Are you one of those people? Most of us are. 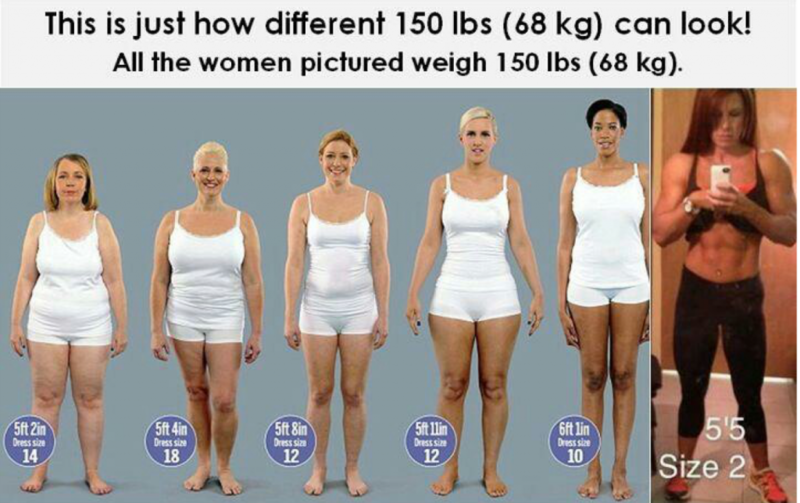 That’s why we have to stop using the scale. Like I said, scales are for cattle and competitions. How Do You Break the Scale Habit? Like all the best health changes, it’s simple to break the scale habit but it can be hard to do. You need to get rid of that scale to help your weight loss and health. You have to physically grab that scale. Make sure it’s on garbage day because that is a key step. Take it out to the bin and leave it there. You can’t throw it in the bin two days before garbage day because you will go dumpster diving for your scale. That’s how strong the attachment is for some people. This might sound funny, but you physically have to throw it in the garbage to break your scale habit. The scale makes you fatter, so why would you want it around anyway? To stub your toe on? I stopped stepping on the scale shortly after starting the Wellness Way program and I know I’ve lost weight, need to buy new clothes that fit, BUT I have know idea what I weigh! It’s so freeing and less stress. I’ve thought about checking my weight recently, I’ll wait for Dr. J at Dynamic to check it. Plus it doesn’t matter because I FEEL 10 x better. Take the advice and ditch the scale!!! So glad you are feeling better Teri! We love to hear comments like this! It’s true! Once you start feeling better, it doesn’t matter what the scale says. Give it more time than that! Don’t forget that the scale lies!